These Forgefix Mirror Screws are zinc plated for resistance to corrosion, and have a slotted screw head and a threaded female insert in the head and shank. They have a chrome plated dome with a threaded machine screw type male insert, and screw-in top. 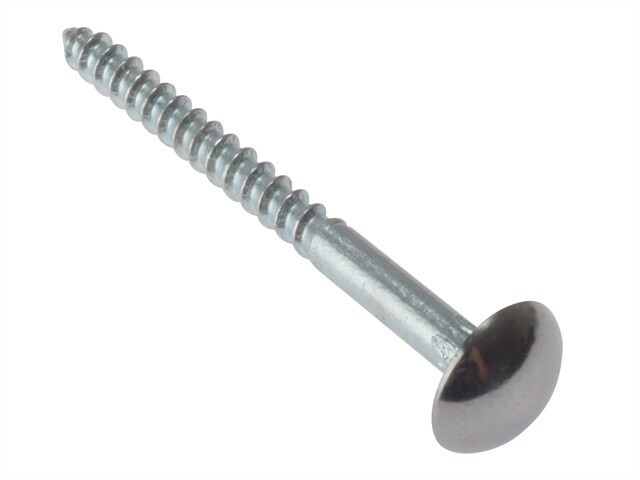 Often used when fixing mirrors or signage, the single threaded screws will hold firm in wall plugs. Suitable for use when fixing mirrors or signage in sanitary and similar locations.